The Pikkujätti pediatric medical center has served the metropolitan area for 30 years. Staart took the design and communication methods of the brand and modernised them – but without taking away the brand recognition. 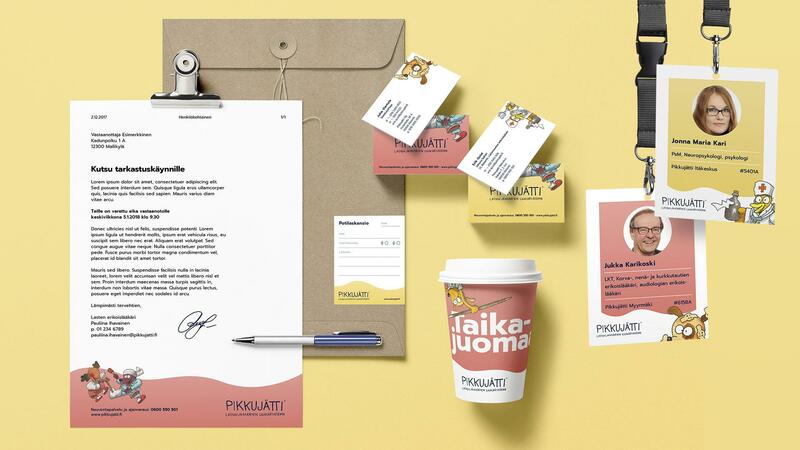 In its ripe years, the medical centre was given a new visual guide, a more fun and versatile way of using the illustrations of the legendary Mauri Kunnas, and a new way of speaking, which gave the medical center some fresh and charming appeal.